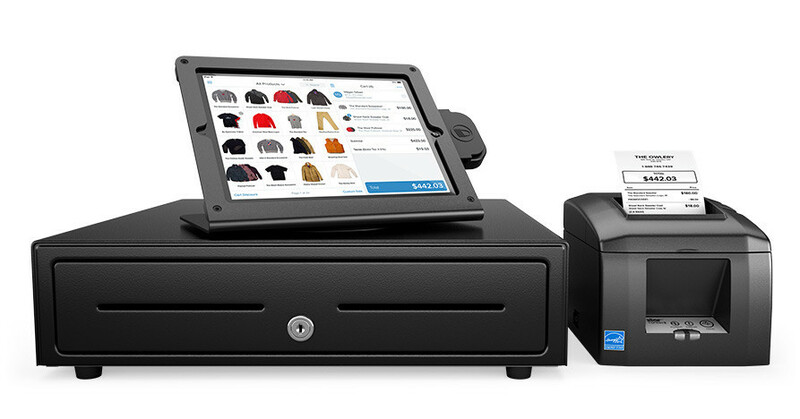 The best POS systems for small businesses combine rich features with affordable pricing. Small businesses have a lot of different looks. A small restaurant will have different needs than a boutique and ddan auto parts store will have different needs than a food truck. 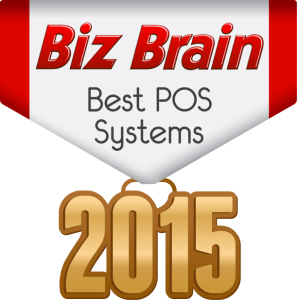 This list of top POS systems for small businesses is a diverse list. Each POS is rated on some basic criteria: cost, features, user friendliness, whether or not it offers good mobile and traditional service, and its ability to grow with your business. While two point of sale systems on this list might be tied in score, it doesn’t mean that each is a great fit for your business. 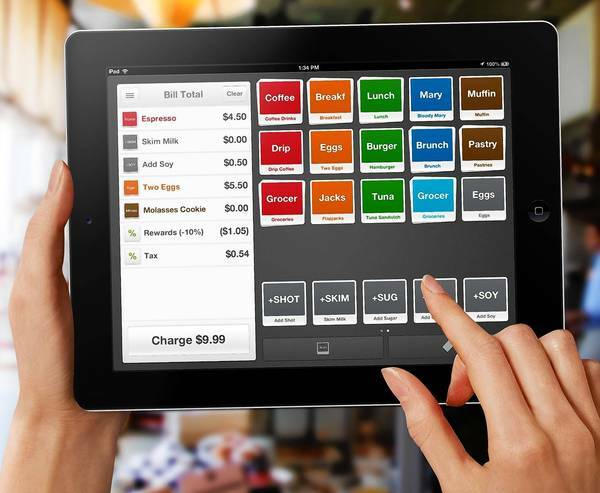 These days, POS systems come in as many different flavors as there are businesses. Some are extremely versatile and can do it all, others are hyper-focused on providing one type of business with an excellent but specific type of service. 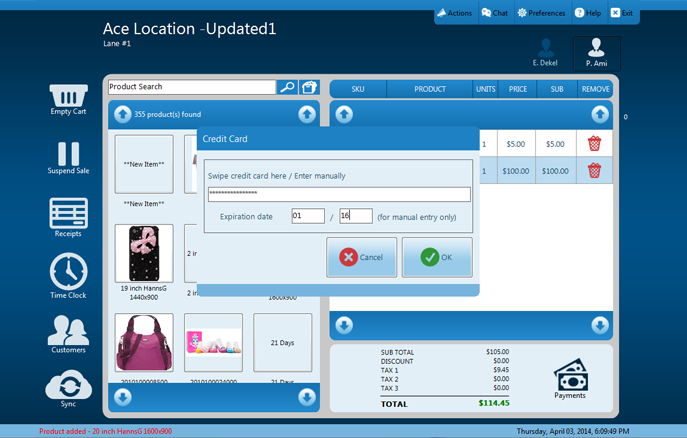 So make sure you are looking not only for a high-quality POS system, but for one that fits your business like a glove. Ability of Service to Grow with Business: 1-10 Locations +1, 10+ Locations +2. Readers shouldn’t take the rating of Ring it Up as an indication that it’s a bad service, just that it’s not a fully featured POS. Ring it Up does what it was designed to do very well, which is to act as a basic mobile POS and payment processor. 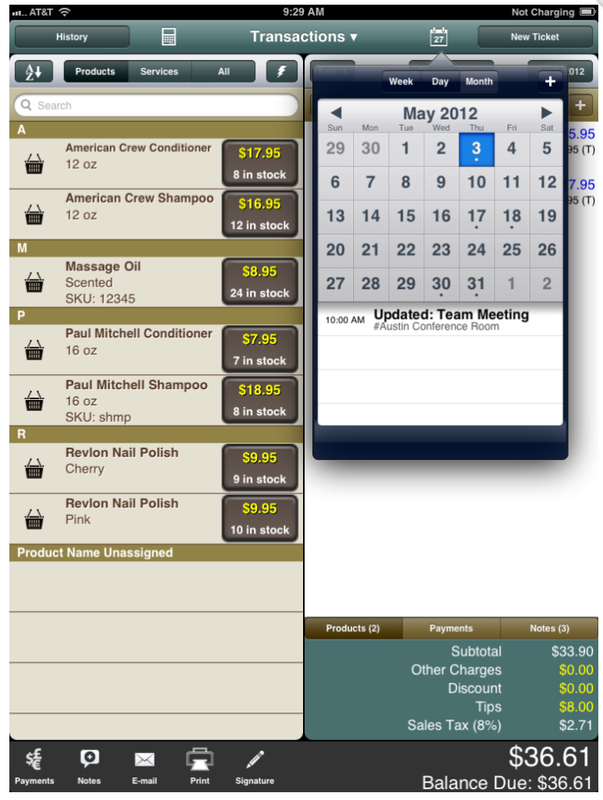 The prices on processing are very good, and there are some good customer management tools in the app. Its price is also incredible. 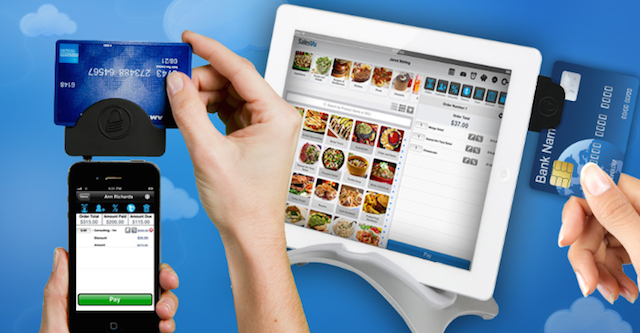 For under $40 you can get a great mobile payment processor and basic mobile POS. It’s generally for very small businesses that need mobile functionality and if that’s all you need, definitely consider Ring it Up. Vend’s service is fully web based which means all you need to utilize it is a device that runs Google’s Chrome web browser. Of course you will have to buy the hardware you need for your location, like a cash drawer, and receipt printer, but you can run the POS software off any device that runs Google Chrome. Vend’s service is available for a monthly fee, and there is no contract so you can switch to a different POS provider at any time. Vend works offline, though this mode provides limited functionality. Vend is a great choice for a small, simple operation that doesn’t need advanced customer or item management functionality. Cost: $69/mo. 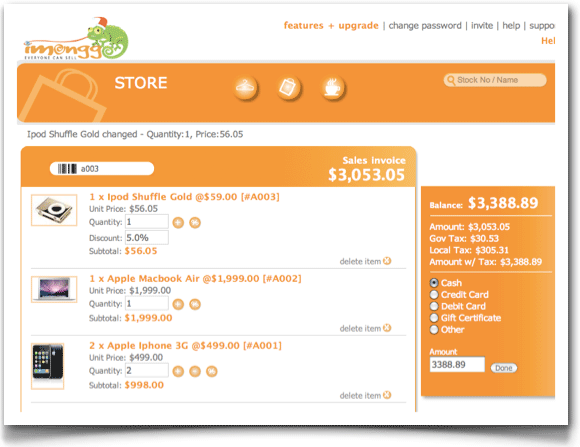 for 1 store, 1 register, additional registers $39/mo. Mobile and Traditional Service: Traditional; Mobile not reliable enough on shaky connections to recommend. Ability of Service to Grow with Business: Unlimited Locations and pricing scales out for value at all levels. Breadcrumb is a great solution for restaurants and mobile food service businesses. Breadcrumb is designed top to bottom to shine in the restaurant and hospitality industry. It’s a little on the expensive side, and it doesn’t share information across store locations, but for a standalone hospitality business, its 200+ features designed specifically for that industry are a huge bonus. Cost:Tiered pricing of $99-$399/mo for plans of 1-10 devices. Hardware Extra. ShopKeep is designed specifically for small businesses and is focused solely on that part of the market. This makes it a great choice for a small business that probably won’t grow to multiple locations. However, if your business does grow, ShopKeep’s service requires no contract, instead, starting at $49/mo you get a pay as you go POS service. ShopKeep also allows you to use any credit card processor with their point of sale system providing small businesses with much-needed flexibility. Ability of Service to Grow with Business: Not designed to grow to medium or large business size. Live POS was one of the first cloud-based POS systems. The system is built for general retail, and provides retail stores with much power and flexibility. Restaurant owners will, however, want to look elsewhere. Two important things about LivePOS are that it’s designed to work with any size business, and it can integrate with any merchant services provider. Overall, this is one of the more expensive point of sale systems on our list, but retailers that can afford the price tag will get all the power they need both now, and as they grow. Cost: $99/mo, $29/mo per additional checkout lane. Hardware cost $1,395-2,795. Change is affordable, offers robust features, good mobile service, and an unlimited capacity to grow with your business. So, what are its drawbacks? Well, the user interface is simple, which is normally a good thing. But sometimes you can take simplicity too far. The design sacrifices elegance and some power to keep things very simple. This is great if your business has simple needs, but we’d recommend checking out the 14-day trial before committing to anything, just to be sure. Imonggo is really set apart by its free plan, which is fully-featured but limited to a single user, single store, and 1,000 products and 1,000 transactions per month. This system is a great choice for very small businesses, or businesses that aren’t necessarily performing transactions every day, such as people selling things in farmers markets or at fairs. Even the premium version of Imonggo won’t break the bank as it is one of the cheapest POS systems on this list at just $30/mo. per location. Imonggo is great for small-to-medium-sized businesses, and while it may not have as many features as some POS systems, it has the essentials and it does them just as well or better than most of its competitors. Cost: Free plan for businesses with fewer than 1,000 products and 1,000 transactions/mo. $30/mo/ per location for premium. Ability of Service to Grow with Business: Good for small to medium businesses. 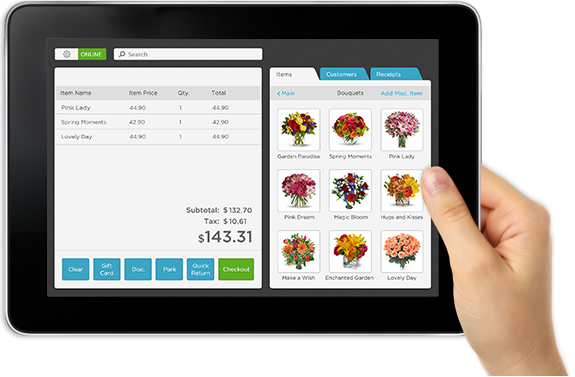 Most POS software works only with iOS or Android, but SalesVu has POS software for both. The prices for its credit card processing are actually below the industry standard, for instance, among services that require a monthly minimum, you will almost never find one as low as $15 per month. SalesVu is flexible and powerful, though for that you do give up some simplicity. 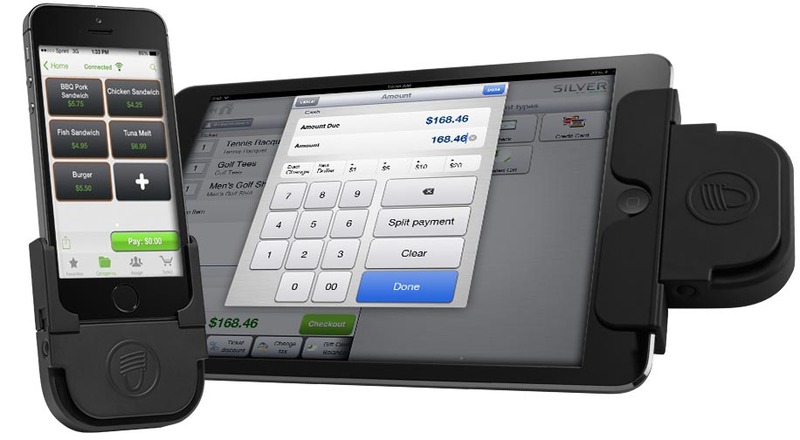 SalesVu is one of the strongest mobile POS systems available on the market. Cost: 2.7% Credit Card Processing Fee, $15/mo fee if sales don’t exceed $560/mo, $10/mo plus 1.7% processing fee on gift cards, Other add-on fees. Ability of Service to Grow with Business: Designed to grow with small to medium businesses. Touchbistro is an incredible restaurant POS, especially if you are only looking for a single location POS (Touchbistro unfortunately does not support information sharing between multiple locations). One of the problems Touchbistro seeks to solve is for small cafe businesses that get huge morning rushes. The system will allow an employee to take a handheld unit and take orders from the line to minimize the time spent waiting in line and for the order to be completed. Touchbistro seeks to apply this sort of streamlined thinking to every part of the restaurant experience which makes it one of the best restaurant POS systems available today. The modern market for POS systems is flooded with innovative startups that use cutting-edge technology. One might think it would be difficult for an older company to keep up. NCR Silver proves the exception here though as they offer a great price on a powerful POS system, and they also happen to be the oldest POS company in the United States. NCR stands for National Cash Register and was founded in the mid 19th century. The company has adapted and innovated point of sale systems for a century and a half and they’re still a great choice today. Pose uses the Amazon cloud to sync and store all your data and securely process your transactions and information. The cloud based system runs on HTML 5 in your Chrome browser giving you a lot of flexibility as to what hardware you purchase. Even though Pose hits most of the requirements we set for a high score, we did have to dock a point because it only integrates with National Bancard for credit card processing. Cost: $49/mo. reasonable al a carte pricing on hardware. GoPago is one of the most innovative POS systems for small restaurants, cafes, food trucks, concession stands, and even vape shops. 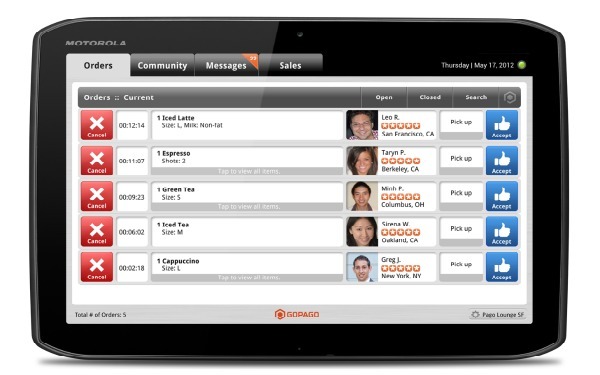 Your customers can get the GoPago app, and then access a mobile storefront where they can make purchases ahead of time. This has the unique benefit of helping drive customers to your business out of sheer convenience. Late for work? Order your coffee before you leave the house and skip waiting in line. Don’t want to miss a second of your sporting event? Order from your seat and pick it up when it’s ready. GoPago provides you with everything you need, and benefits your customers, helping to ensure their loyalty which will help your business thrive. The only drawback is that GoPago is only available in certain locations currently, but hopefully they will expand over the coming years. Cost: 24 month commitment for new merchants, $99/mo. includes essential hardware and support. $34.99/mo. per additional terminal. Leaf runs on custom hardware which is available from Leaf al a carte. You might think this would bump up the price, but the hardware is actually cheaper than iPad based systems. 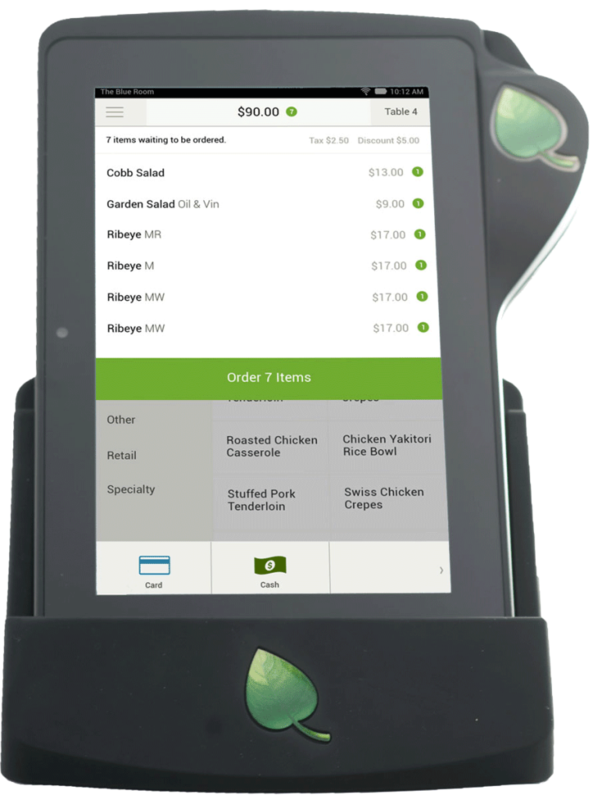 Leaf brings a powerful, affordable POS solution to small and medium sized businesses and anybody in the market should consider their service. This point of sale system is flexible and can be used in both the retail and restaurant settings. It’s also compatible with over 50 credit card processors, so you will be able to choose the one that’s right for you and your business. Cost: $50/mo. Hardware is al a carte as needed and very reasonable pricing. While its interface isn’t the most beautiful, it is simple and powerful. The POS system offered by Instore is flexible and has both retail and restaurant features, though the retail features are much better suited to the restaurant industry. Even though the price seems high, you won’t have to pay an extra monthly fee for more registers or stations. The $99/mo. fee covers all the needs of a single location, making it a great value as long as you have more than one station or register. Also, because the price is tied to location and not the number of employees, registers, stations, etc., you get a great POS that can scale to your needs. You do still have to buy all the hardware for your stations and registers, but instore offers great prices on hardware. Cost: $99/mo. per location, Hardware available al a carte. Lightspeed does both restaurant and retail, and does both well. 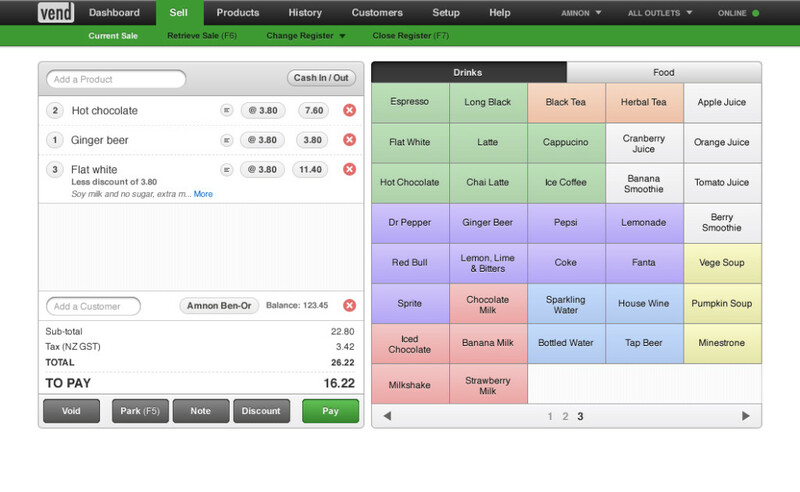 Indeed Lightspeed is one of the top POS systems available to small, medium, or large businesses. 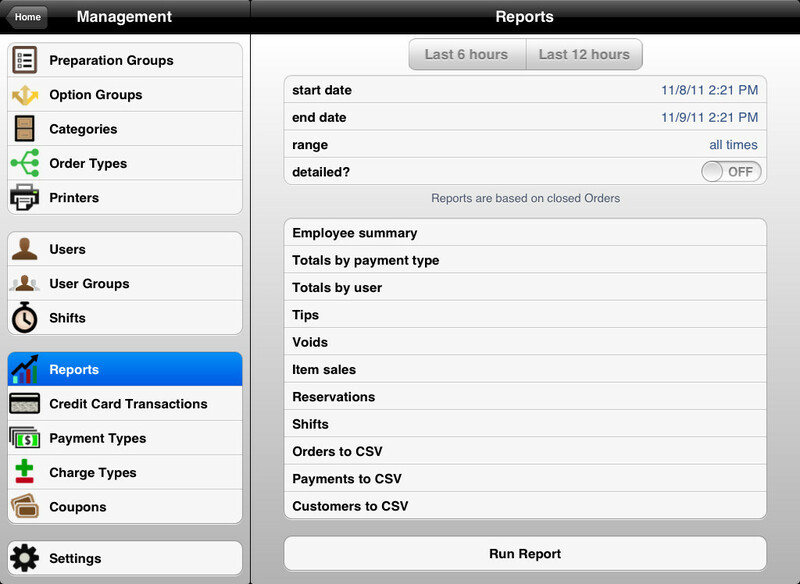 The system is iPad based, the interface is elegant, the features offer robust management tools. Lightspeed may be a bit more expensive than your average POS that targets small businesses, but this is more than made up for in the comprehensive service they provide. Ability of Service to Grow with Business: Unlimited. The bronze package from iConnect is perfect for a small, mobile business that working in places like farmer’s markets or fair booths. At $9 per month, it wouldn’t put much of a dent in your finances. But iConnect has packages designed for businesses in every stage of development and growth, from that small fair booth to all multiple location enterprise chains. The features and prices are all industry standard. The design of the POS is elegant and has a reputation for being easy to use. 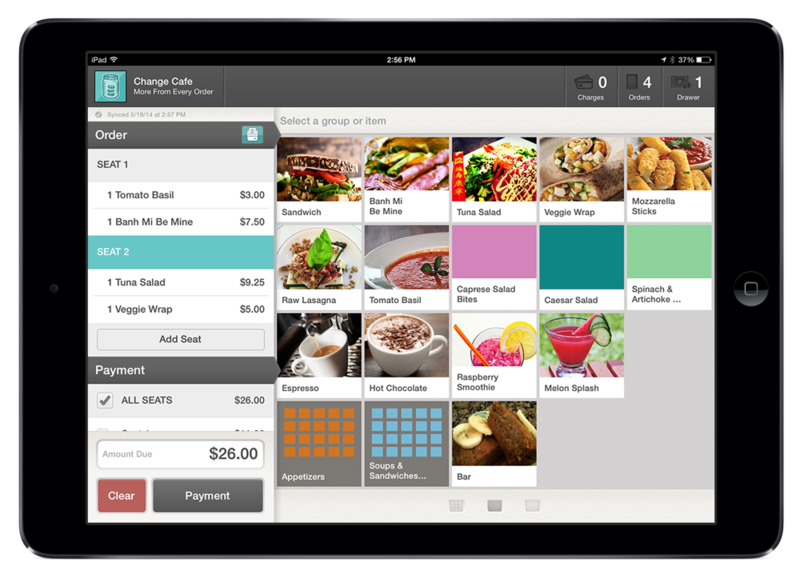 The POS also integrates conveniently with the Quickbooks accounting software. Ambur’s reasonable up-front cost is made even more reasonable by the fact that you pay a one-time license fee for unlimited installations. This also includes software updates. The hardware packages are reasonably priced. Ambur is for restaurants and is one of the most visionary POS companies in that industry. Ambur was already providing an app to do basic POS functions over the iPhone when the iPad released and they saw a huge opportunity. It’s reasonably priced and a powerful app for restaurants. Why not go with one of the innovative companies responsible for the modern, mainstream, tablet based point of sale systems? Cost: One Time Licensing Fee of $999 for Unlimited Installations includes all software updates. $809 and up for hardware packages. Revel may be too expensive for many small businesses, but high traffic, high revenue small businesses may want to consider paying the extra price. Revel is designed to do it all, and to scale with the size of your operation. Software licenses are expensive for retail, and even more expensive for restaurants, but the incredible number of powerful features offered by the system makes it great for a small business that’s doing well. 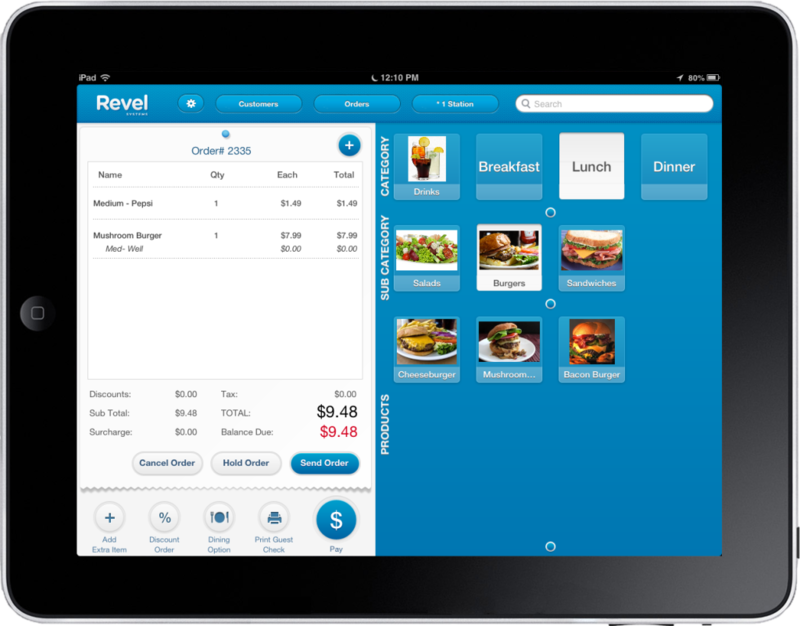 A quality POS can save you lots of time and money, so if your business is doing well enough, consider Revel. Cost: $1,000 Software License per iPad per year, $33/mo per iPad for support, Hardware prices vary but you are free to buy the hardware elsewhere. 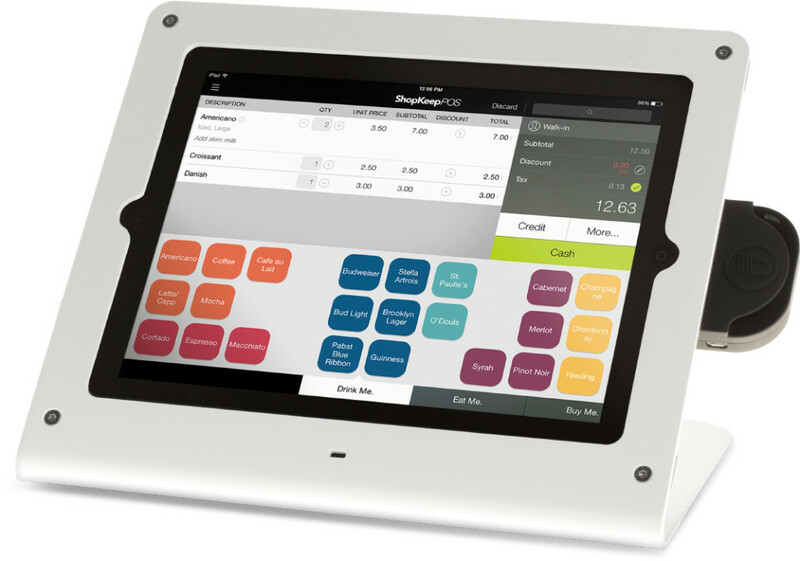 Quetzal is an iPad-based POS system that comes with great features like customer loyalty information, integrated card payments, and inventory management. Quetzal is designed primarily for small retail outlets and shoe stores and thus provides robust features that the owners of such shops will find immensely useful. The system can expand with your clothing or shoe store up to ten locations, but anything beyond that you will have to find a new POS. Shopify does it all, and does so at very affordable rates. Shopify can help your business manage in-store, online, and mobile sales. You get great inventory management and item management that allows you to organize items in a wide variety of ways, including seasonal which is great for clothing stores. The hardware and monthly service fees are reasonably priced. To make setting your business up even simpler, Shopify comes with an in-house credit card processing service that is priced in line with the industry standard. Cost: $49/$99/$199/mo. plans, Credit Card Processing Rates at 2.7%/2.4%/2.15%, Hardware Kits $649 ea. Ability of Service to Grow with Business: Yes, for Small Businesses growing into Medium. Shopify has their eye on the large business market too.